File Form 945, “Annual Return of Withheld Federal Income Tax,” for 2018 to report income tax withheld on all non-payroll items, including backup withholding and withholding on accounts such as pensions, annuities and IRAs. If your tax liability is less than $2,500, you can pay it in full with a timely filed return. If you deposited the tax for the year in full and on time, you have until February 11 to file the return. If a calendar-year partnership or S-Corporation, file or extend your 2018 tax return and pay any tax due. If the return isn’t extended, this is also the last day to make 2018 contributions to pension and profit-sharing plans. Health Insurance: If you maintain a health care plan for employees, coverage under the plan isn’t taxable to them. Employee contributions are excluded from income if pretax coverage is elected under a cafeteria plan. Otherwise, such amounts are included in their wages, but may be deductible on a limited basis as an itemized deduction. Disability Insurance: Your premium payments aren’t included in employees’ income, nor are your contributions to a trust providing disability benefits. Employees’ premium payments (or other contributions to the plan) generally aren’t deductible by them or excludable from their income. However, they can make pretax contributions to a cafeteria plan for disability benefits, which are excludable from their income. Long-Term Care Insurance: Your premium payments aren’t taxable to employees. However, long-term care insurance can’t be provided through a cafeteria plan. Life Insurance: Your employees generally can exclude from gross income premiums you pay on up to $50,000 of qualified group term life insurance coverage. Premiums you pay for qualified coverage exceeding $50,000 are taxable to the extent they exceed the employee’s coverage contributions. Dependent Care Assistance: You can provide employees with tax-free dependent care assistance up to $5,000 for 2018 though a dependent care Flexible Spending Account (FSA), also known as a Dependent Care Assistance Program (DCAP). Adoption Assistance: For employees who’re adopting children, you can offer an employee adoption assistance program. Employees can exclude from their taxable income up to $13,810 of adoption benefits in 2018. Educational Assistance: You can help employees on a tax-free basis through educational assistance plans (up to $5,250 per year), job-related educational assistance and qualified scholarships. Moving Expense Reimbursement: Before the TCJA, if you reimbursed employees for qualifying job-related moving expenses, the reimbursement could be excluded from the employee’s income. The TCJA suspends this break for 2018 through 2025. However, such reimbursements may still be deductible by your business. Transportation Benefits: Qualified employee transportation fringe benefits, such as parking allowances, mass transit passes and van pooling, are tax-free to recipient employees. However, the TCJA suspends through 2025 the business deduction for providing such benefits. It also suspends the tax-free benefit of up to $20 a month for bicycle commuting. As you can see, the tax treatment of fringe benefits varies. Contact The Callen Accounting Group, PLLCC for more information. The IRS will treat plans that fail to meet these conditions as non-accountable, transforming all reimbursements into wages taxable to the employee, subject to income taxes (employee) and employment taxes (employer and employee). The S corporation business structure offers many advantages, including limited liability for owners and no double taxation (at least at the federal level). But not all businesses are eligible • and, with the new 21% flat income tax rate that now applies to C corporations, S-Corps may not be quite as attractive as they once were. The primary reason for electing S status is the combination of the limited liability of a corporation and the ability to pass corporate income, losses, deductions and credits through to shareholders. In other words, S-Corps generally avoid double taxation of corporate income — once at the corporate level and again when distributed to the shareholder. Instead, S-Corp tax items pass through to the shareholders’ personal returns and the shareholders pay tax at their individual income tax rates. But now that the C-Corp rate is only 21% and the top rate on qualified dividends remains at 20%, while the top individual rate is 37%, double taxation might be less of a concern. On the other hand, S-Corp owners may be able to take advantage of the new qualified business income (QBI) deduction, which can be equal to as much as 20% of QBI. S-Corp status isn’t the best option for every business. To ensure that you’ve considered all the pros and cons, contact us. Assessing the tax differences can be tricky — especially with the tax law changes going into effect this year. 3. Assess candidates before hiring them. Often it’s worth a small financial investment to have job candidates undergo pre-hiring assessments to see if they’re the right match for your business and the position available. Hiring carefully will increase the likelihood that new employees will work out. 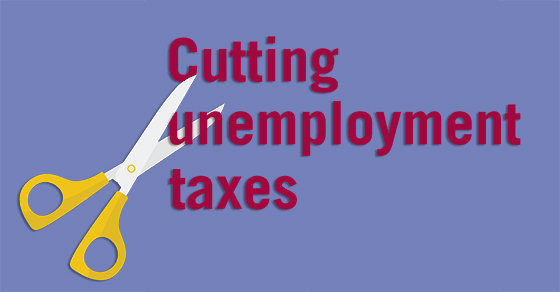 If you have questions about unemployment taxes and how you can reduce them, contact The Callen Accounting Group, PLLC. We’d be pleased to help. 1. Buy equipment. The PATH Act preserved both the generous limits for the Section 179 expensing election and the availability of bonus depreciation. These breaks generally apply to qualified fixed assets, including equipment or machinery, placed in service during the year. For 2017, the maximum Sec. 179 deduction is $510,000, subject to a $2,030,000 phase out threshold. Without the PATH Act, the 2017 limits would have been $25,000 and $200,000, respectively. Higher limits are now permanent and subject to inflation indexing. Additionally, for 2017, your business may be able to claim 50% bonus depreciation for qualified costs in excess of what you expense under Sec. 179. Bonus depreciation is scheduled to be reduced to 40% in 2018 and 30% in 2019 before its set to expire on December 31, 2019. One last thing to keep in mind is that, in terms of tax breaks, “permanent” only means that there’s no scheduled expiration date. Congress could still pass legislation that changes or eliminates “permanent” breaks. But it’s unlikely any of the breaks discussed here would be eliminated or reduced for 2017. 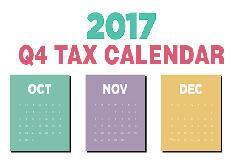 To keep up to date on tax law changes and get a jump start on your 2017 tax planning, please contact us.